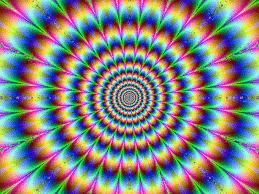 As they say perceptions are reality and that is why it is really good not to have perceptions of hypnosis but in particular hypnotic trance. When someone has a perception of trance it does two things: it takes away from your concentration and if the trance is not like you imagined you think that you have not gone into trance. When this happens you then begin to question what has happened. I had a customer at Quit Smoking the other day who did not think that she had gone into trance. When I asked her about this she told me that she did not feel as if she had gone into trance as it was not the way that she imagined that it was going to be. This was despite the fact that I had explained that neither she nor I had any idea of how it was going to be when she went into trance. She had gone into trance by the way as she displayed several signs of being in trance. When you come for a hypnosis procedure the best piece of advice that I can give you is to be open to the process and take it as it comes. Don’t try to control it, just allow it to happen and enjoy the process.